Spaghetti and meat sauce seems to be a staple in so many houses. Growing up, this was a meal that was often on the table with a side of salad and bread. Of course, I was the picky eater of the family so I just ate my spaghetti (or any pasta for that matter) plain with butter! 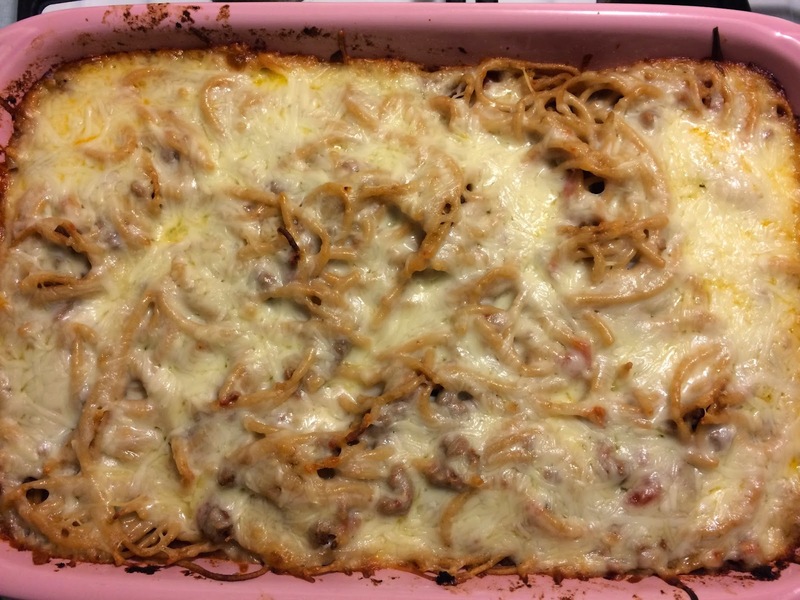 Now that my taste buds have expanded - and I am determined to expose my kids to food prepared lots of different ways - I decided to take the old dinner stand-by and turn it into a casserole! While your sauce simmers, cook the whole wheat spaghetti in a large pot of boiling water for about 5-7 minutes (do not cook all the way). Reserve 1/2 cup cooking liquid before draining pasta. Add 1/2 cup cooking liquid to sauce mixture. Taste sauce and add extra seasonings. 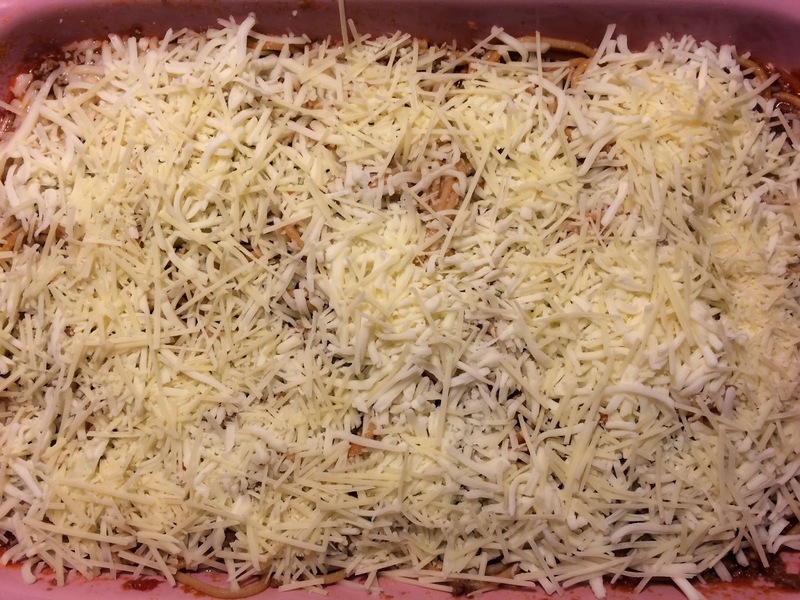 Toss spaghetti with sauce and then transfer to an oiled 9x13 baking dish. 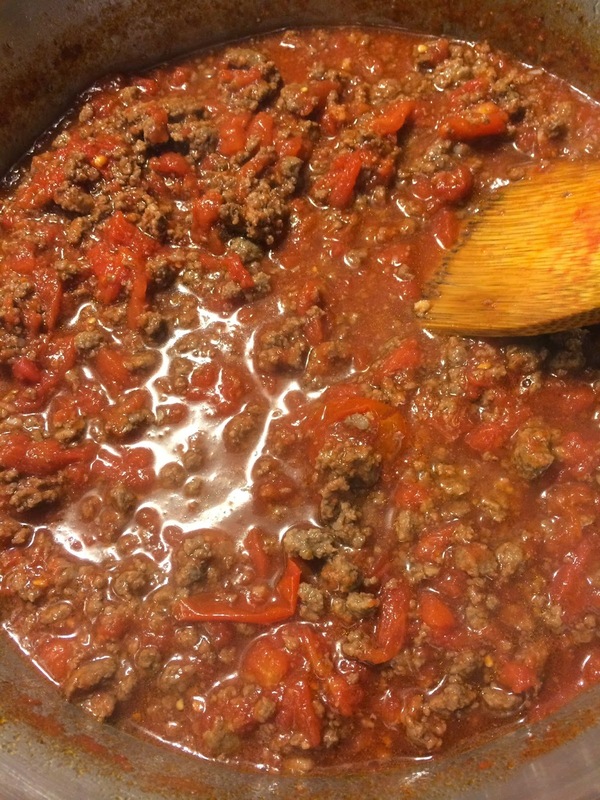 *If you do not like chunks of tomato you can put the entire contents of the can of San Marzano Tomatoes into a blender to puree until smooth before cooking it. 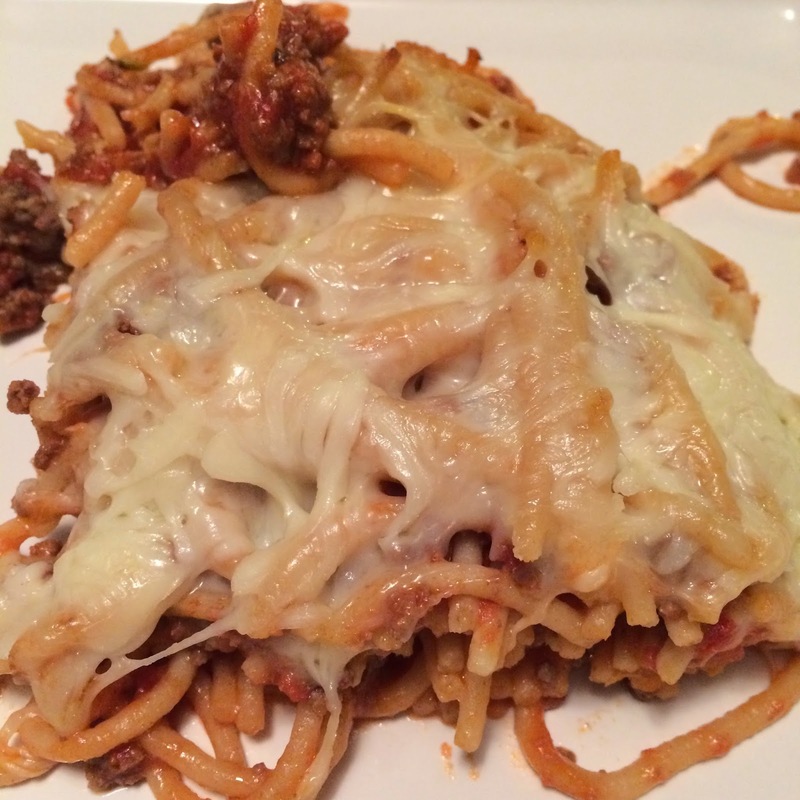 You can also substitute a jar of your favorite spaghetti sauce in place.